Magento is currently the most used eCommerce platform. Its popularity is largely due to its flexibility and reliability. Darwin Digital has developed numerous online stores using this open-source eCommerce platform. Our team manage everything for you, from integration, online payment systems and security, while easily customising your Magento online store to suit your business needs in both the local and global market. The features of this platform are limitless. The flexibility and customization offerings of this eCommerce platform can optimize the customer experience at all levels to engage with your brand and increase conversions. 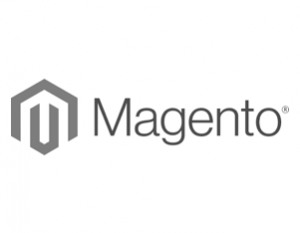 Darwin Digital will install and configure your Magento installation so you can begin selling. This includes SEO for Google, multilingual setup, SSL certificates and making sure the checkout workflow is working correctly. As a self-hosted solution. Magento is highly recommended for large companies with a large inventory and turnover, whether you work in a B2B or B2C industry. Magento is a self-hosted solution that will require someone with adequate technical skills to support, maintain and customise the software. Thanks to the supreme shopping experience Magento provides, businesses experience 3X sales growth.